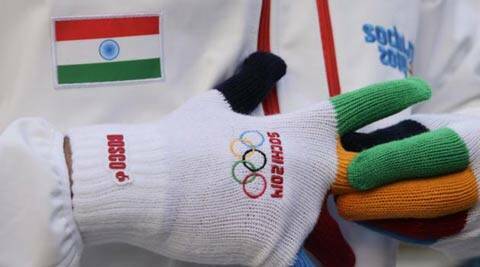 India had been banned since December 2012 after elections at its Olympic association (IOA) saw a corruption-tainted official voted in as secretary general. The IOC lifted the ban on Feb. 11 following fresh elections last week, allowing it to be represented at the Olympics and bringing the total number of nations competing at Russia’s first Winter Games to 88. “Very, very emotional,” new IOA President N. Ramachandran, who is also heading the World Squash Federation, told Reuters Television. “For us having been out for 15 months and to come back within two days after our elections is something I could not believe,” he said, thanking IOC President Thomas Bach for the quick decision. India’s three athletes had marched under the Olympic flag at the opening ceremony but can now carry their own standard on Feb. 23 when the Games come to an end. “It is now a fresh start for us and hopefully better days will come for Indian winter sports,” luger Shiva Keshavan told Reuters after the small ceremony that also included a few visiting Indian fans. Two of the three athletes are currently Olympic scholarship holders. The world’s second most populous nation became the first to win readmission to the Olympic family during an ongoing Games.